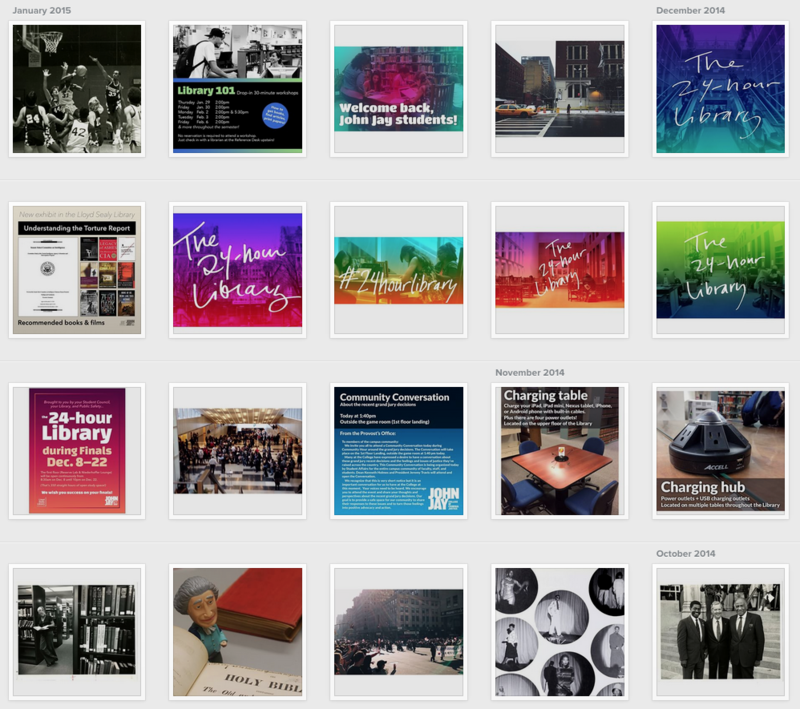 Heads up: I revised ‘Using Instagram for your library‘ to add a 4 more tips. We’re heavy Instagram users now at Lloyd Sealy Library; we post 2+ times a week when school is in session; we geotag and hashtag each post; we know the other IGers on campus; and we take the time to like/comment on other organizations’ posts, and even students’ posts, with the result of gaining followers and goodwill. Moreover, I informally surveyed freshmen throughout the last semester. All of them are on Instagram all the time. And all of them laughed when I asked if they used Facebook. (They don’t.) So IG is where it’s at.